Editor’s note: Paul Dorpat is taking the week off. Jean Sherrard is filling in. 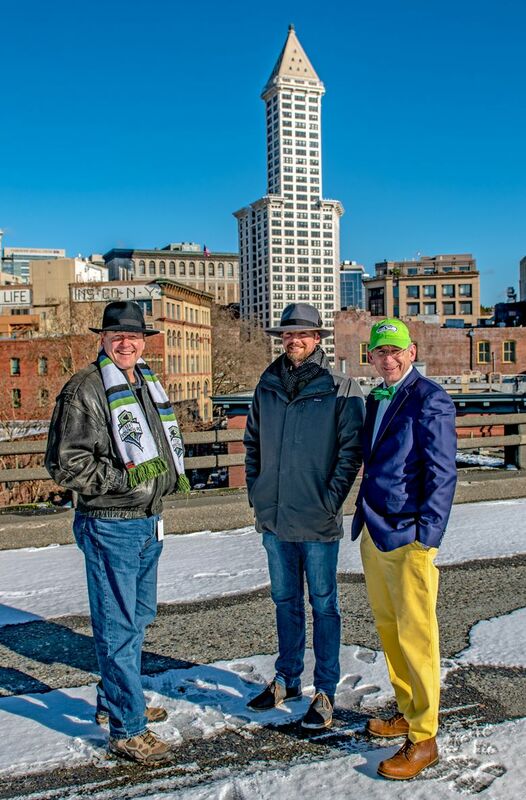 JEAN HERE, fresh from wandering an Alaskan Way Viaduct making its final curtain call, equal parts Irish wake and a celebration of new beginnings. A couple of minor mishaps at two major ribbon-cutting ceremonies, separated by nearly 66 years, provide wry bookends to examine the life span of the viaduct. The first, on April 4, 1953, marked its triumphal opening. Built for $8 million (yes — you read that right! ), the new double-decker highway was expected to funnel 25,000 vehicles daily above the confused tangle of downtown city streets, alleviating Seattle’s increasingly snarled traffic and providing ample room for an expanding population. On a lovely afternoon in April, one day before Easter Sunday, Seafair Queen Iris Adams handed a Paul Bunyan-sized 4-foot-long pair of silver scissors to Mayor Allan Pomeroy, who attempted to cut the ribbon. It creased but would not cut. “Aw, come on!” the mayor exclaimed. D.K. MacDonald, the director of the Automobile Club, whipped out his penknife and adroitly sliced the ribbon in half to the cheers of the crowd. On Feb. 2, 2019, dignitaries gathered again to celebrate the opening of the viaduct’s replacement, the double-decker Highway 99 tunnel bored out beneath the waterfront — a huge project of civil and civic engineering, dividing residents into conjectural camps: of views lost and gained, congestion abated or increased, a cityscape invigorated. Celebrants included past mayors; city and county council members; and Gov. Jay Inslee, reputedly running for president. When the governor stood to address the crowd, however, his microphone cut out. He improvised gamely, shouting at the top of his lungs, but his unamplified speech could scarcely be heard; nevertheless, minutes later, his smaller, sharper scissors separated the ceremonial green ribbon quite handily. This week’s “Then” photo was taken a day or two before the opening ceremonies in 1953. 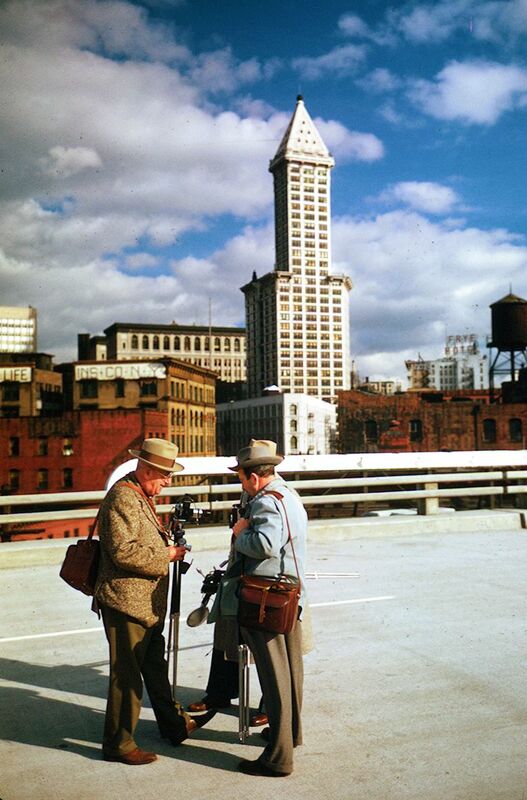 Behind the three photographers pictured here, comparing their gear, stands Smith Tower, then 40 years old, and at that time still the tallest building on the West Coast (unsurpassed until the Space Needle in 1962). At its base stands the gleaming flatiron Seattle Hotel, built after the Seattle fire of 1889 (70-plus years passed before it was replaced by the infamous “sinking ship” garage in the early 1960s). And on the left is the Mutual Life Building, whose signage remains intact, still anchoring a corner of Pioneer Square.